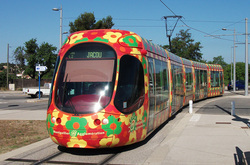 A few shots of the City-Trams in Montpellier in Southern-France whilst touring that area on my Suzuki-600K4 Bandit. This is Tram-2060 getting away from Saint-Jean-le-Sec going to Jacou.It is a Line-2 route working from Saint-Jean-le-Vedas to Jacou. 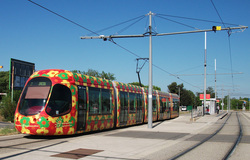 The Montpellier Tram System has only been in operation since 2000 and plans are already in place to extend its route even further.A very different state of affairs to the UK.When the French decide to do something such as a rail or tram line system they just get on and do it unlike certain cities in the UK such as Bristol----for instance! 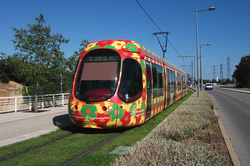 Tram-2060 arrives at Saint-Jean-le-Sec.This section of the Montpellier- Tramway (L2) is single track with services passing in certain stations. 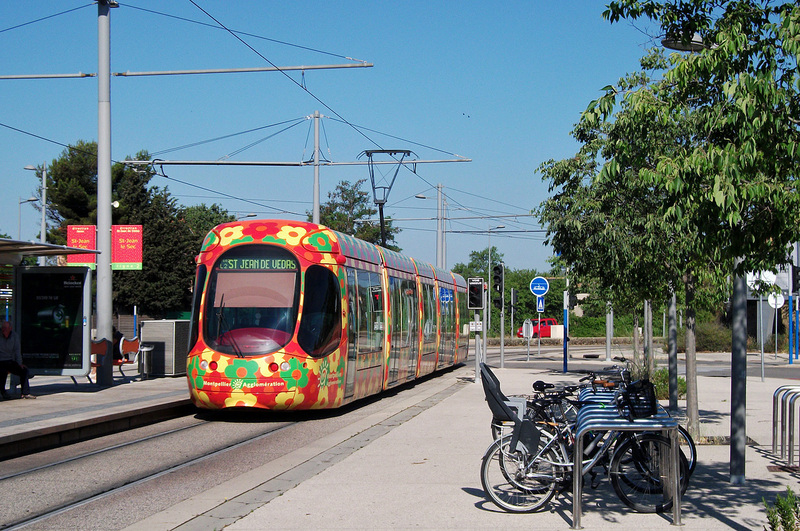 Here is a Saint-Jean-de-Vedas service from Jacou running parallel with a main road on the final mile or so to the Terminus at St-Jean.There are 4 seperate routes in the Montpellier system.This one being Line-2 which only opened in 2006.The year 2000 marked the original opening of the first section (Line-1). 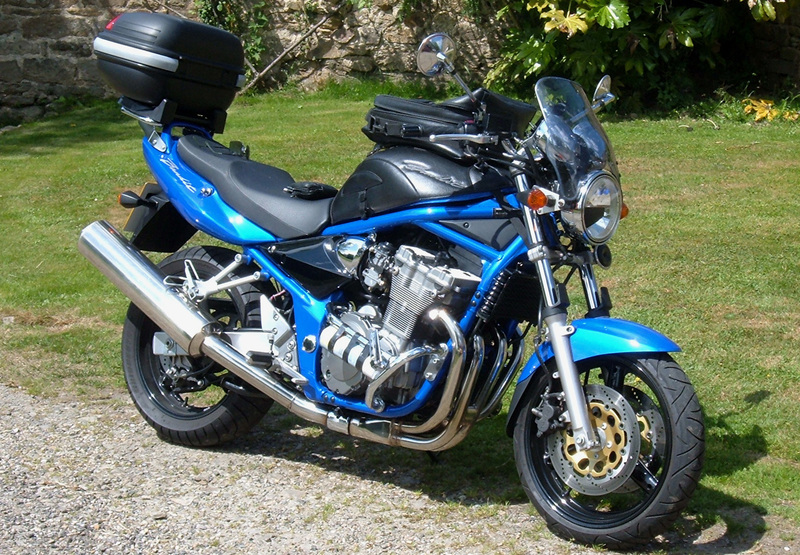 Just back from an 8 day trip down to the South of France on my Suzuki- Bandit. 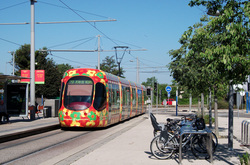 (See ﻿HERE﻿). 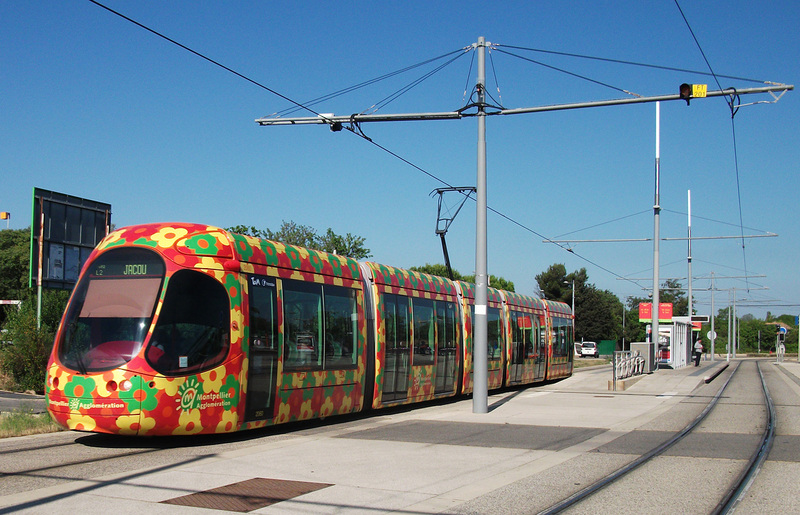 Altogether about 1700 miles were covered mostly in hot sunny conditions.We stayed at Montpellier in Saint-Jean-de-Vedas.Although strictly a motorcycling adventure I did find time to picture a few of the new Trams that are now running in that French-City. Here is a Saint-Jean-de-Vedas bound service slowing to a stop at Saint-Jean-le-Sec.All Trams on 'Line-2' wear this 'Colourful Flowers' livery.